Posted on October 30, 2015, in Polytheism and tagged goddesses, Kemetic stuff, Polytheism, Sekhmet. Bookmark the permalink. 7 Comments. 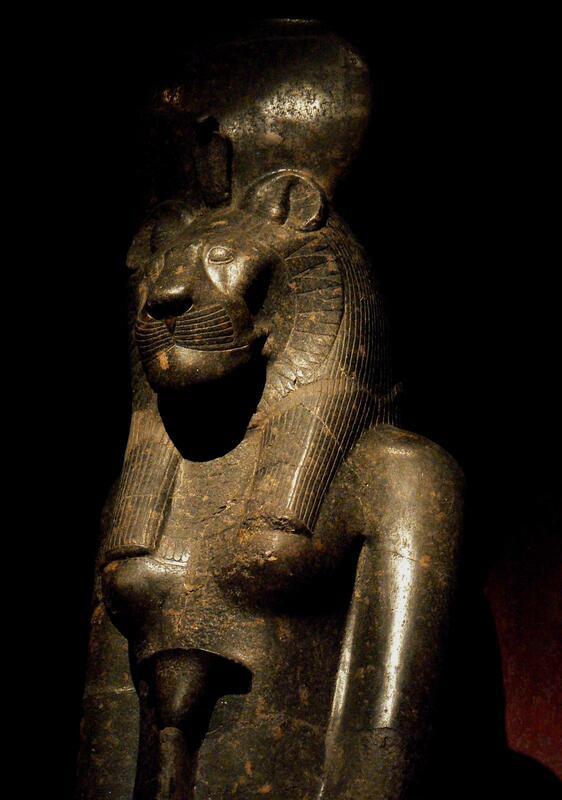 I have never seen Sekhmet as a mother goddess and it is kind of weird for me to think she is seen by some as such… Most of my information about the Kemetic pantheon comes from Egyptian history books, mainly focused on how the people lived and what gods they petitioned in what cases versus modern day. Sekhemt was, along with Bast, the first Goddess I venerated. I loved Her for Her fierce nature and for being a warrior. I would never look upon Her as a cuddly Mother Goddess. Too many people want the Gods and Goddesses to be ‘safe’ and for those persons it’s easier to try to force Them into the boundaries and roles of ‘nurturing mother’ regardless of their true nature. It would be like someone trying to treat a Siberian Tooth Tiger like a three week old mewling fluffy kitten. I love this article, excellent! Any books other than yours (which I have) that you would recommend on her? Betty, let me think about that. Off the top of my head a few things come to mind but i’m at work right now and need to hunt up the titles when home. bug me here if i forget! I don’t know Sekhmet very much, but I know the Morrigan and, yes, She’s not a “Mother Goddess” but I feel Her as my mother and my Queen also. She’s beautiful and terrible, regal and fierce, wild and dark, powerful and strong, intransigent and not at all safe; She’s not cuddly, sweet, maternal (in a conventional manner). She is not what we commonly call “mother”. And I love Her for this reason, for Her way of loving, so strong and “cruel”. So, imho, She’s not a “Mother Goddess” (and no one should try to distort Her), but She can be a mother, in Her particular way.